The Orange County Chopper’s team has done it again. 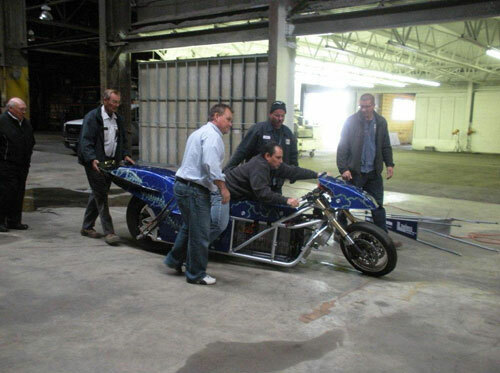 They have designed and built a bike that has broken the record for the fastest electric-powered drag bike in the world. Yes, we said “electric-powered” motorcycle. The historical accomplishment was recorded at Virginia Motorsports Park in Petersburg, VA on September 24, 2010. 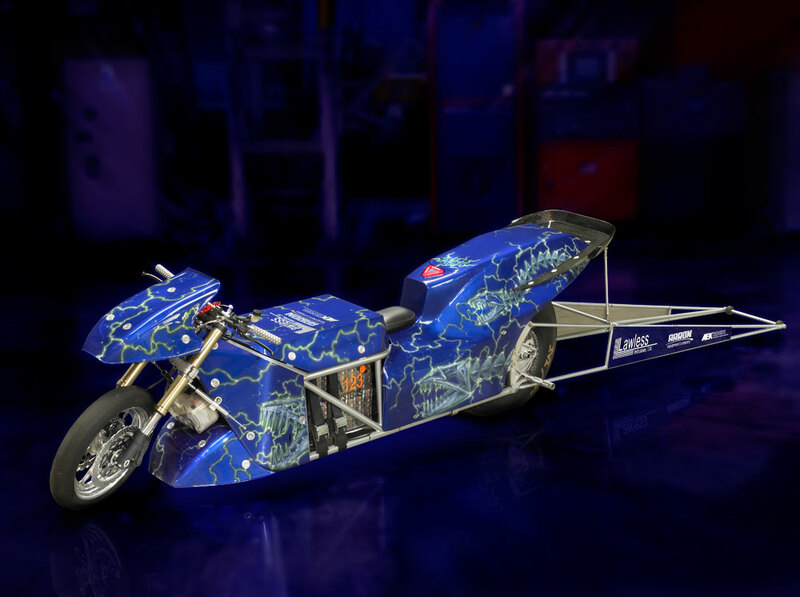 The “Lawless Electric Drag Bike” was sponsored by Aaron Kendell Packaging Equipment (AEK) and Aaron Equipment Company. 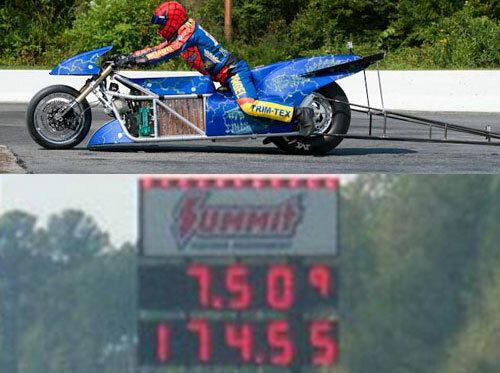 Larry "Spiderman" McBride piloted the 363 volt, 4000 amp electric bike to a 7.469 second ET, 177 MPH quarter mile pass breaking the 176 mph land speed record for a battery-powered motorcycle. The bike, which is owned by Shawn Lawless (owner of Lawless Industries) puts out over 600 horsepower, contains an electric DC drive system, a GE 13-inch motor and 1,980 A123 battery cells. The drag bike itself is unique in two ways: 1) its record-breaking speed; and 2) the eco-friendliness of the battery-operated power that generates that speed. Indeed, its series of rechargeable batteries creates in excess of 600 horsepower. 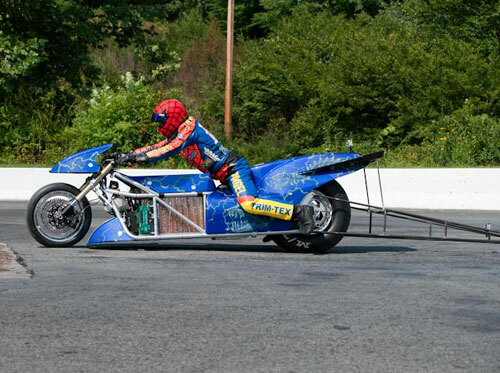 As result, the Lawless Electric Drag Bike is transforming the typical weak and slow view of battery-operated power into one of strength and lightning quickness. 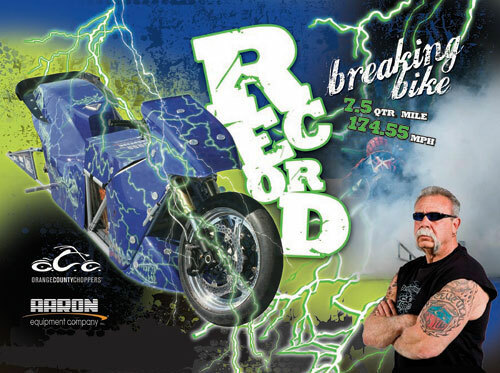 It’s fitting then that Aaron Kendell Packaging Equipment and Aaron Equipment Company have been personally asked by Orange County Choppers to serve as two of the bike’s main sponsors. 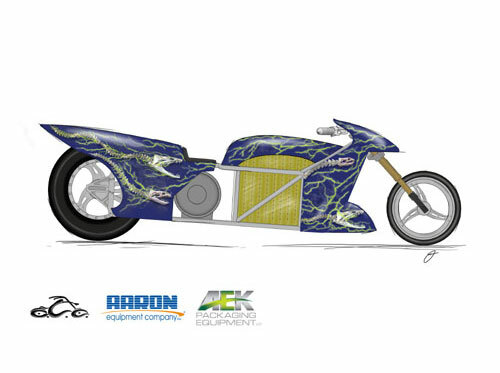 That invitation came partly as a result of the companies’ past relationship with the custom motorcycle manufacturer who unveiled the “Aaron Bike” in 2008. More importantly, however, it arose from what the bike represents. The two companies, which are industry leaders in providing new and used packaging and process equipment, are effecting a transformation of their own. Like the motorbike they’re sponsoring, they’re changing the way individuals think and feel about used equipment – as a viable alternative with a new standard of quality that’s both “greener” and more economical than new.